In Missouri, the show you want is the show you'll get. Big city culture and small town charm, beautiful lakes and rivers and the scenic Ozark Mountains are waiting to entertain. Whether you're seeking fine dining and wine country, or old-fashioned family fun, you'll find your perfect vacation in the Show-Me State. Here are just a few of the exciting attractions to explore. The City Museum in St. Louis is beloved by locals and visitors alike. Housed in the 600,000 square foot former International Shoe Company, the City Museum is more playground than museum featuring five and ten-story spiral slides, enchanted caves and a rooftop garden with a 1940s Ferris Wheel and a wonderful panoramic view of St. Louis. Branson entertains millions of visitors annually with it's hundreds of live shows. Not to mention the Titanic Museum and Silver Dollar City plus all the outdoor activities surrounding Table Rock Lake. And be sure to enjoy a bite, or a round of golf at Top of the Rock and the light show on the landing. The microbrewery scene in Missouri has grown exponentially over recent years and there now are over 35 microbreweries across the state. Plus, not only do we have the oldest wine-growing region in the country but Missouri also has 10 wine trails complete with beautiful vistas of the countryside. 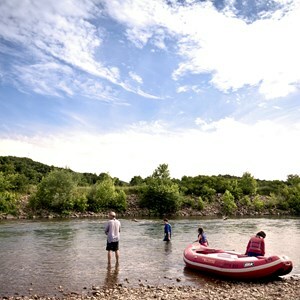 Learn about everything Missouri has to offer and discover your perfect vacation at VisitMO.com.